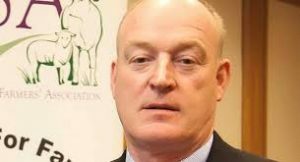 ICSA president Patrick Kent has slammed the Citizens’ Assembly proposal to tax farmers for food production emissions as “a completely daft idea which is a lamentable example of group think emerging from a part-time weekend talk shop. “When you get daft proposals on additional taxes for farmers enthusiastically backed by 89% of respondents and a proposal for a new quango backed by 98% of respondents, it is obvious that this does not arise from balanced debate and careful reflection. Instead it suggests that the findings have been orchestrated by the way the debate has been framed and the questions put. “Did anyone ponder the hypocrisy of favouring carbon taxes for the end users of fuel but not for beef or dairy? 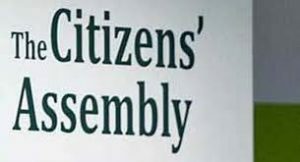 The reality is that if the Citizens’ Assembly was asked if they favoured food taxes at retail level they would have been a lot slower to jump on the bandwagon. Moreover, they would then have to reflect on the fact that any such tax would have to be levied not just in Ireland but in every country in the world where we export food. “At least there was some acknowledgement that farming activities also sequester carbon and that farmers should be incentivised for providing carbon sinks. Contrary to popular belief, this should not be about sitka spruce plantations which are actually very limited in terms of sequestration but about well managed grassland farming combined with the maintenance of biodiverse landscapes. “Government and all public representatives need to man up and stop outsourcing policy decisions to hobby weekend policy makers. It is a wasteful diversionary tactic when we could incentivise farmers to supply solar energy or invest in anaerobic digestion which produces renewable heat while reducing slurry emissions. Ireland also needs to reject the absurd EU Commission proposals to undermine crop based biofuels on EU farms which produce up to 70% lower GHG emissions than fossil fuels. While electric vehicles might eventually be attractive as an alternative, we have to deal with today’s fleet today. Previous PostJustice Minister reaches out to MacSharry over ‘waterless’ Sligo garda headquartersNext PostSligo has suffered lowest level of employment growth of any county in the past five years – McLoughlin.